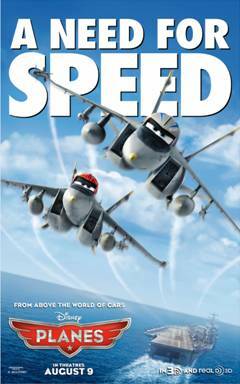 Planes was a really fun movie to watch! It's about a crop dusting plane named Dusty who wants to race in an around-the-world flying competition. It is set "above the world of Cars". In my opinion, it blew both Cars and Cars 2 out of the water. I loved the humor in Planes. The characters were interesting. The score fit well. And it was cute to see Disney's representation of different countries around the world. The short scenes with fighter jets and an aircraft carrier were really cool. I want a military themed Disney movie. Who's with me on that :)? Planes was an all-around enjoyable underdog story. I recommend it! Special thanks to Allied-THA for the chance to attend an advance screening of Planes for free in exchange for my honest review.